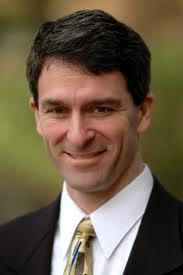 RICHMOND, Va. (Legal Newsline) -- Virginia Attorney General Ken Cuccinelli reportedly failed to disclose -- for close to a year -- that he purchased stock holdings in a company that, just months before, sued the state. The Washington Post reported that Cuccinelli, who is running for governor, did not disclose his interest in Star Scientific, a former tobacco company that now sells dietary supplements. A campaign consultant for Cuccinelli told the Post last week that the attorney general didn't disclose his interest because he didn't realize his holdings exceeded the $10,000 mark. The attorney general has since reported his holdings in the company. According to the Post, Cuccinelli's stock purchase in Star Scientific came two months after the company filed a lawsuit against the state in 2011. On Thursday, the newspaper reported the attorney general was expected to appoint a Democrat former attorney general and Republican former state solicitor general to jointly handle that case -- over a tax assessment -- at no cost to the state.